Just the other day I mentioned that I was trying to figure out just how big I could make the Tunisian Short Row dishcloth so that I could use up most of one ball of cotton, but not run short at the end. Now I don't think I need to worry about that! I have found a super fun, and practical, use for the leftovers! You can see that I had just the tiniest bit of each yarn left when I finished this pattern. Isn't it pretty in three variegated yarns? Terri did hers in one variegated for the square and a solid for the two ovals. Making this project took me just shy of an hour and a half, just sitting at the kitchen table and working through the pattern while my children played and had a snack and my big kindergarten boy read to me from his little Letter People booklets. What a fun project this was to make! The pattern, which is copyrighted by Kimberly Langlois and available as a free PDF download, was very well written and easy to follow, even for a beginner. She even provides pictures showing how to assemble the parts once they are crocheted. I love anything that resembles a Celtic knot, having done my fair share of embroidered Celtic designs, and that is just what this pattern reminded me of. You can see here how thick and solid this hot pad is when finished. This design would look great in one color to coordinate with your table or kitchen. 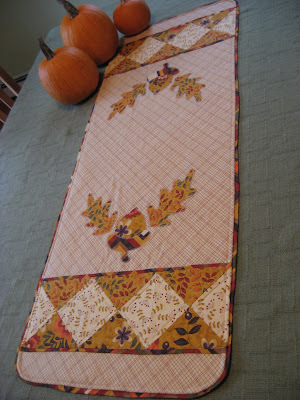 As you can see from Terri's finished project, it also looks great with one variegated and one solid. Mine is done using three variegated yarns as a project to use up my leftovers. So there are many options for working this pattern, only limited by what you have available and your imagination and creativity. Why don't you give it a try? Is it the pot holder you made? 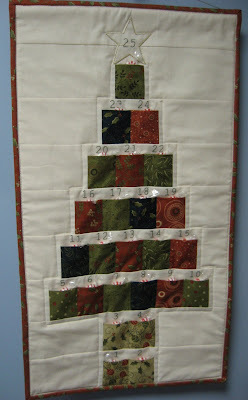 It is so cute and a good way to use up those scraps. You could knit all the scraps into a long scarf and give it to a homeless shelter. I know what you mean about those left overs....they can make you crazy! You are most welcome Terri, and thanks for mentioning me on your post too! Great idea for the leftovers, Sheri! I think this pattern could be used as a pot holder, a trivet or a hotpad. I suppose it could even be used as a dishcloth if all the layers were stitched securely to each other. Pat, please don't think it's too complicated til you try it! It was a lot easier than it looks, honest! Thanks for all your nice comments. I do enjoy hearing from you! That is an awesome pattern MG! Love the variegated yarn you used! It really does this item justice! Mary Grace...I think I'm going to have to give this a try! It is so cool! Keep those patterns and links coming! This pattern is available as a free download from Ravelry. The link is: http://www.ravelry.com/patterns/library/weaved-hotpad You have to sign up first to get into Ravelry, but it is free and worth the little effort! Lots of great stuff shared there! I just made my first and it's beautiful. One question though. Is there a way to have both ovals, after weaving, so the seams are buried? I can get one of the seams to be on the underneath of the square and buried, but not the other oval piece. Am I missing something? Hi Joan! So glad you like your first woven hot pad! They are fun to make! It has been quite some time since I've made one of these, but just from looking at the pattern again, I think you should be able to arrange the ovals so that both seams end up on the underside. Try flipping or turning the second oval in different ways to position the seam where you want it. In the pictures from the pattern, it does look like neither seam shows, so I think there must be a way. Don't give up! Hi Mary Grace. I had thought about flipping one oval, but it would be the wrong side of my artwork. I like perfection on my pieces which can sometimes make me crazy!! (Just ask my husband.) Conclusion: I have one oval up and one oval down and both seams are buried on the underside. I can live with that. You and I will be the only ones to know!!!! Happy new year MG.